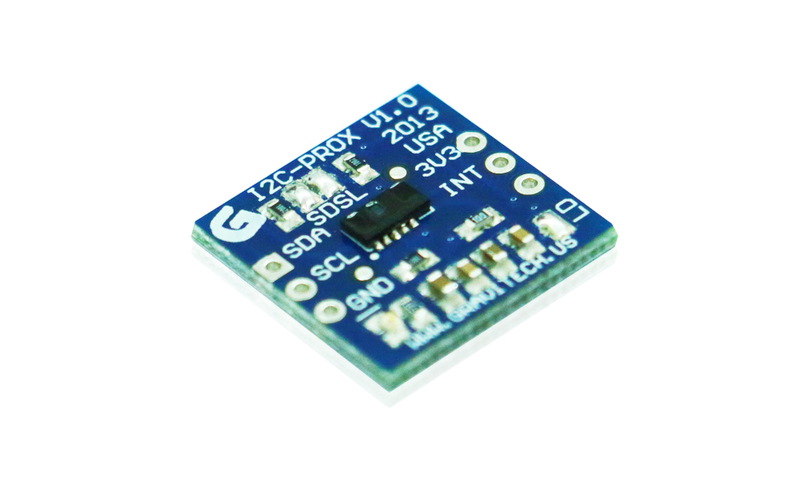 This is a 6 pin CMOS device that provides Proximity sensing using I2C communication interface. 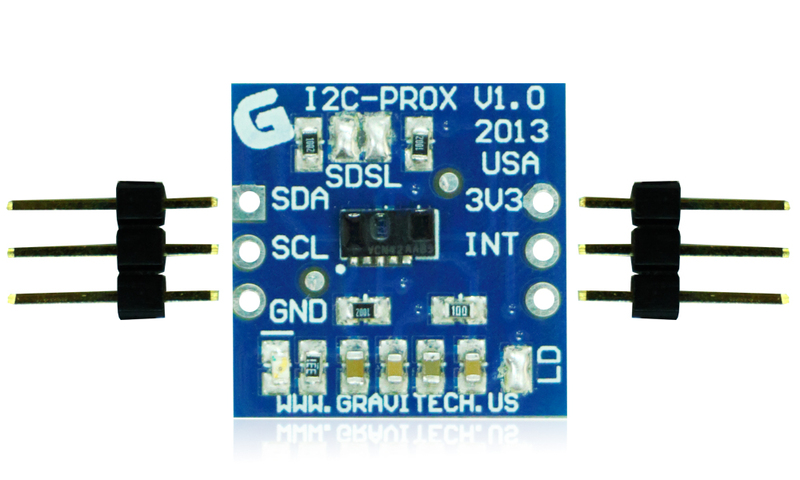 The I2C-PROX is a fully integrated proximity and ambient light sensor which includes the infrared emitter and photo-pin-diode for proximity function. It has 16 bit resolution for proximity detection range that ensures excellent cross talk immunity. It features an interrupt function. There are no external components required, only two signal lines SDA and SCL plus supply voltage, ground and interrupt are required to be connected. The range of proximity distance is up to 200mm. It has an ambient light function of 16 bit dynamic range from 0.25 lx to 15klx. It also has a 100 Hz and 120 Hz flicker noise rejection. The is ready to use device. 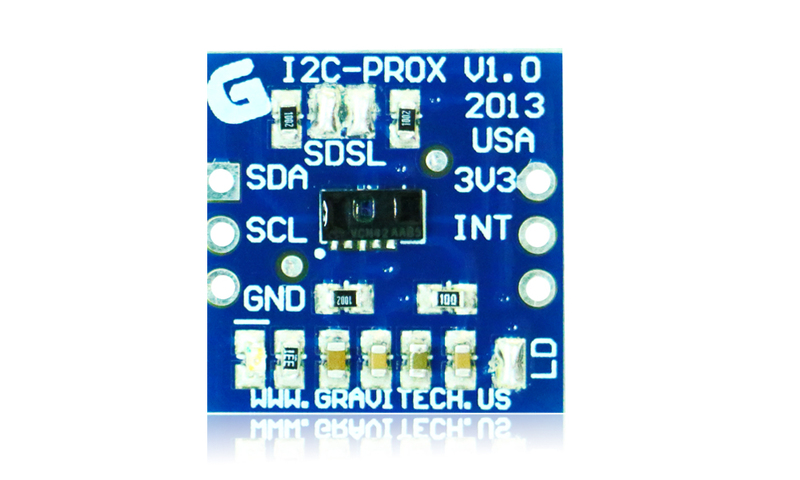 It contains many innovative features like on-board I2C bus and open drain pull-up resistors, power LEDs. You can use this cool device on many projects that require sensing distance such as automatic dispenser, touch screen locking, power saving, etc. 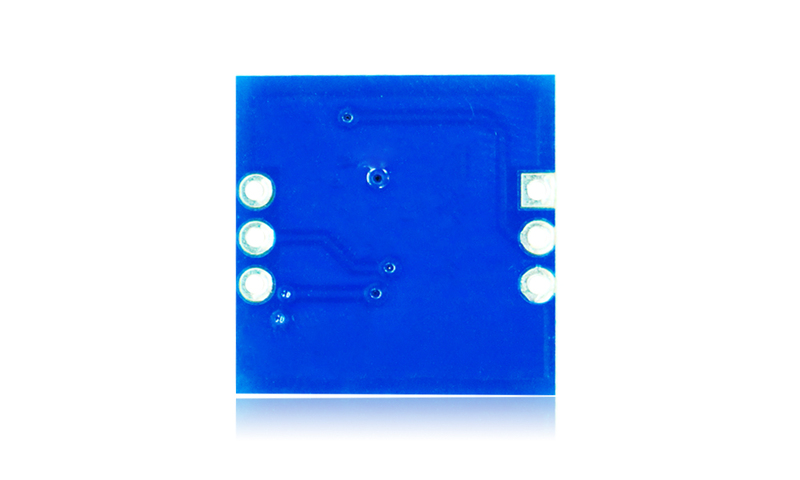 � Integrated infrared emitter, ambient light sensor, proximity sensor, and signal conditioning IC.